The Domain, the mixed-use development situated 12 miles north of Austin’s downtown business district, has quickly become the city’s new live-work-play destination. Employers and tenants seeking unique and trendy office space, without premium downtown pricing and space restrictions, have taken notice. 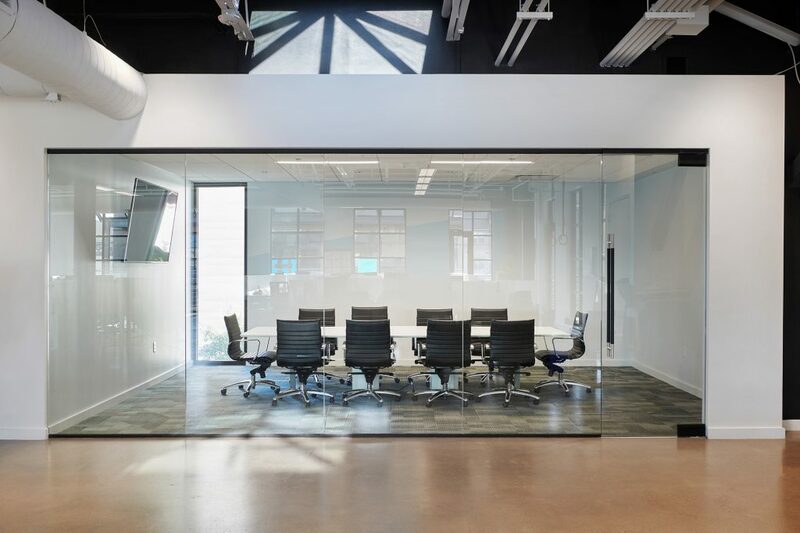 Endeavor Real Estate Group, one of the major developers at The Domain, recognizes this trend and is using its knowledge of the market to develop creative office spaces that maximize the North Austin development’s appeal. Endeavor’s commercial real estate experience told them to take another look at one of their Domain properties located on Rock Rose – one of the Domain’s busiest thoroughfares – to find a creative way to add room for a speculative office tenant. Endeavor then approached Beck with a design challenge: take a pre-existing, already-leased double height retail property and add a second-floor space; essentially, creating something out of nothing. We have successfully designed over 30 unique retail spaces at The Domain and were eager to take on this new challenge. Stepping into the project, we learned that the second location of Sway, a popular South Austin restaurant, leased the space. The restaurant’s design was already underway by a local architect, so we collaborated with Sway’s architect to incorporate elements in our design that would benefit both spaces. This meant identifying utility needs early to avoid rework once the restaurant was open for business. A visual element that benefitted both spaces was the addition of a canopied second-story porch that serves as an outdoor space for the office tenant and shaded cover from the Texas sun for restaurant guests on the ground floor. Exterior wayfinding logistics for the future tenant and restaurant-goers was an interesting challenge. It was critical to design an entrance for the office that is easily distinguishable from Sway’s entrance. Our architects studied multiple schemes that respond to the colorful design aesthetic of Rock Rose, as well as provide two building exits and an elevator that meet code and accessibility requirements. The result is a bold exterior design that features a cantilevered, ribbon stair as the office entrance. Featuring an enclosed, plate steel stairway with punched openings and integrated LED lighting, the stair gives the appearance of a floating entrance to the warehouse-style building. The stair’s cantilever also floats over a multitude of existing underground utilities, which avoided their rework during construction. Endeavor leaned on its team’s leasing expertise as well as our experience designing creative offices to come up with an inspired program to attract future tenants. 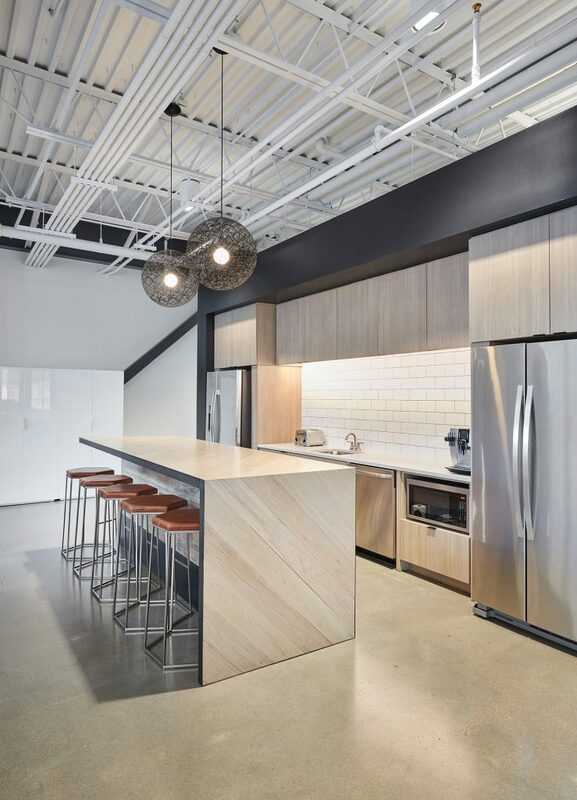 The final interior design is an open office floor plan that seamlessly blends an open kitchen with a custom island for casual lunches, happy hours and impromptu meetings. The design added three large skylights to provide ample natural light, while also lowering the need for excessive overhead lighting. A conference room with a frameless glass front and a slot window reinforce the open office theme and provide balanced natural light. Nearly eighty percent through the project design, the office space was leased to the technology firm, Jask. 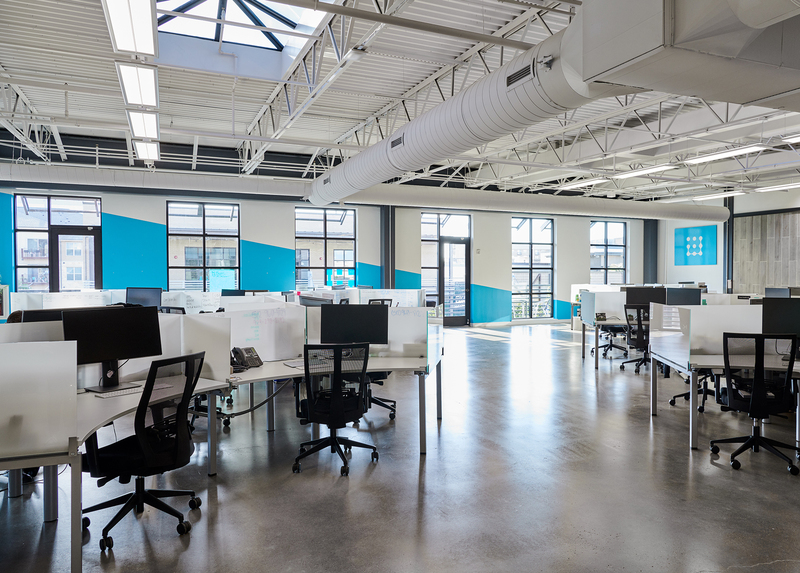 We immediately worked with the new tenant to create personalized elements in the final design, including custom paint colors to reflect Jask’s brand personality and enhanced in-floor power to accommodate their mobile workstations. The final result successfully delivers a creative office space, in collaboration with a popular eatery, for a client wanting to further establish The Domain as Austin’s premiere live-work-play development.